Gerry Dawes's Spain: An Insider's Guide to Spanish Food, Wine, Culture and Travel: World Wine Crisis Report (Eight): From Wineaccess.com "Understanding the Crisis in Napa: Part 1"
World Wine Crisis Report (Eight): From Wineaccess.com "Understanding the Crisis in Napa: Part 1"
It's impossible to deny the appeal of the Napa Valley. Close to six million wine drinkers work their way up Route 29 each year, hopping from one glittery tasting room to the next. 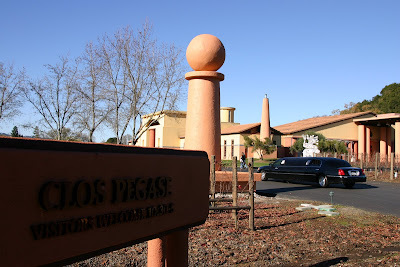 That flow of traffic -- generating massive direct-sale opportunities -- coupled with a worldwide love affair with high-end, highly scored boutique brands, fueled unprecedented price escalation in Napa. 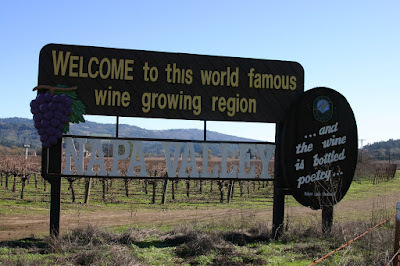 Few of the boutique Napa Valley wineries grow grapes. Most buy fruit. As bottle prices escalated, particularly in direct sales, margins exploded. Suddenly, grape growers of the most coveted vineyards could pick their customers. Grape prices soared, and growers were able to lock in their clients to long-term grape contracts. Those contracts are part of the root of the crisis. But for the purposes of this portion of the story, we've chosen to focus on a different part of the market: the fairly new, estate-bottled wineries. These estates, many as small as 10 acres, spent lots on land, then spent much more ripping up the land and planting. Some began by simply growing and selling grapes before bottling wine on their own. Some went directly into bottling under their own brand. They built business models (most of which have turned out to be Excel Spreadsheet Fiction) based on what was going on up and down the Silverado Trail. They spent fortunes on French barrels (as the dollar dropped precipitously), hired consulting winemakers, and prepared for the gravy train. Silverado Trail, Napa Valley. Photo by Gerry Dawes©2009. To really taste the crisis, we've created a sampler made up of three of the most inspired releases from these new, small estates. There's Tim Milos's brilliantly rich and elegant Rubissow Cabernet Sauvignon from Mount Veeder, the Crane Brothers' "perfect blend" (the best of the best from this pristine vineyard) called Brodatious, and the delicious, opulent Maple Lane Cabernet from their vineyard between St. Helena and Calistoga. Two bottles each of these tiny-production Napa gems, sold for less than 50 cents on the dollar! Here's why. 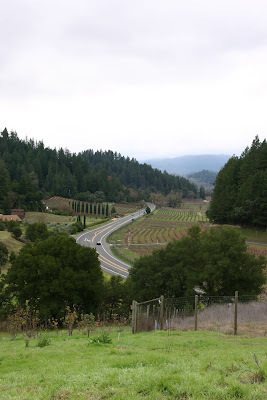 Almost uniformly, the wineries above, and dozens of others up and down the valley, were faced with a stark new reality. Just as the winegrowers were ready to launch their brands, the wholesalers clammed up. $50 bottles that had been flying out of wholesale warehouses backed up. Rather than taking on new suppliers, wholesalers were cajoling existing suppliers, explaining how the market was on its ear, why prices had to come down. For the new guys on the block, the wholesale market fell apart in just a few months at the tail end of 2008. Less stretch limos in Napa Valley these days. Photo by Gerry Dawes©2009. As to direct sales, traffic slowed on Route 29. Other wineries with more mature programs stepped up their direct-marketing budgets. These new wineries weren't positioned for the direct game; their mailing lists were small, their direct-marketing prowess immature. The phones that would have been ringing off the hook 18 months before were silent. Wine was backing up in the warehouse and grapes -- well, grapes just keep growing, year after year. 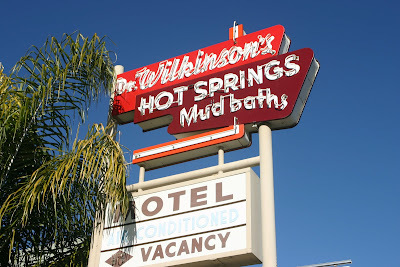 Dr. Wilkinson's Hot Springs Mud Baths, Calistoga, Napa Valley.